Hallucinogens like magic mushrooms are known for their mind-altering affects that leave users feeling like they&apos;ve had profound, life-changing experiences. Now scientists are experimenting with the psychedelic drug to see what else psilocybin—the active ingredient in mushrooms—can do. 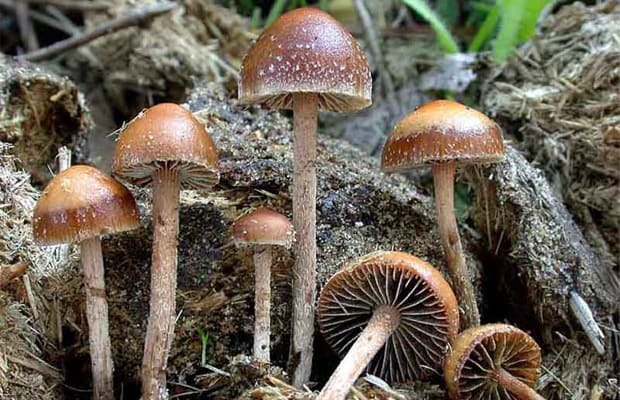 Studying 15 healthy people tripping on &apos;shrooms, scientists were able to deduce that psilocybin shuts down activity in two areas of the brain responsible for our self of sense and awareness of our sense of the present. The findings were presented today in the Proceedings of the National Academy of Sciences. In addition to inducing hallucinatory images, the study found that psilocybin could possibly be used to treat some forms of depression. To read more about the report head over to Discovery&apos;s website.